What is CTE ? - The Total Super Photo ARTistic Experience! 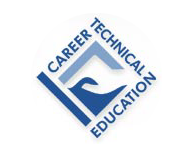 The Mission of Career and Technical Education is to provide all students a seamless education system, driven by a Student Education Occupation Plan (SEOP), through competency-based instruction, culminating in essential life skills, certified occupational skills, and meaningful employment. CTE at Springville High School! "Classes that help you get a job and/or ready for college! National CTE! "It's about getting a job!"